The all new Magic YoYo YoStyle Bag! Able to safely carry 6 YoYos in the moulded foam bag. The moulded foam also has a small rectangular section where you can put a tube of lube or even strings! 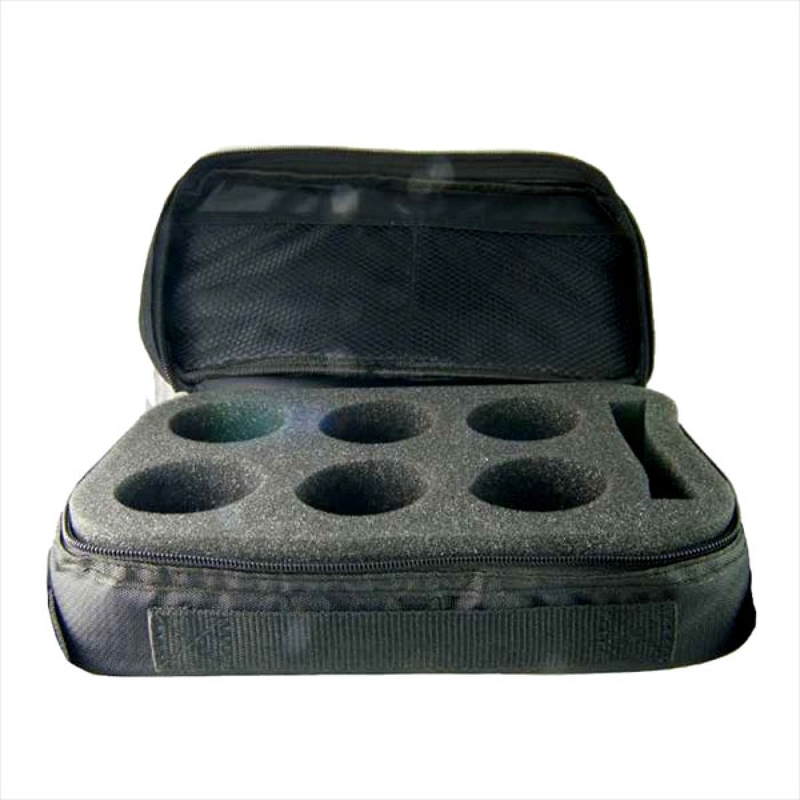 Foam is removable, you can carry more than 10 yoyos with the foam removed. There are TWO net pockets, and TWO zippered pockets - room for extra strings, bearings, lube, etc.. 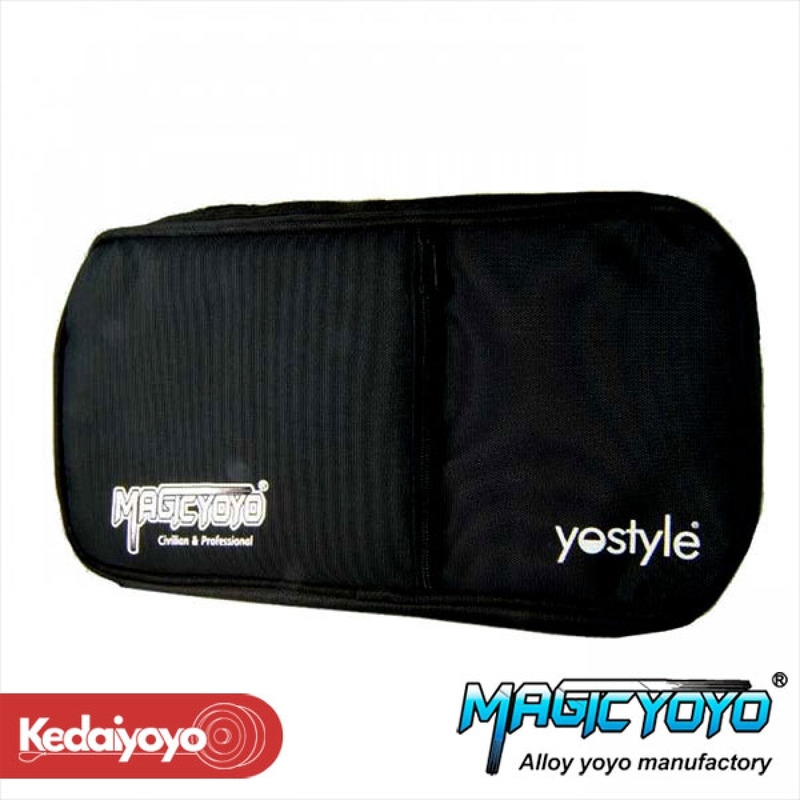 The bag has a small handle on the top, and a detachable shoulder strap, allowing you to hang it over your shoulder when travelling with your yoyos! The bag measures (approximately) 28cm x 16cm x 8cm, and the internal holes are approximately 54mm in diameter.